Benoit Reillier specializes in strategy and corporate development for innovative high growth companies and platform businesses/ecosystems. He has been advising the boards and top management teams of many blue chip companies as well as regulators and Governments for almost 20 years. Prior to founding Launchworks Benoit was Director of Economics and Regulation at KPMG where he focused on telecommunications and media clients globally. 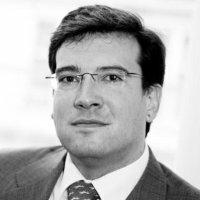 Benoit was previously Director of the TMT practice of expert firm LECG Europe (now FTI) and also worked as business development director of Telia Mobile International UK, the leading Nordic telecommunications group. Throughout his career Benoit has had the opportunity to work on and lead key strategic assignments that shaped the payments, technology and communications sectors. He was instrumental in the development of regulatory frameworks in a number of countries, participated in large mergers and acquisition projects as well as several international multi billion dollar litigations and arbitrations. Benoit taught modules on regulation and economics at UK regulator Ofcom between 2005 and 2009 and is a guest lecturer at leading European business school ESCP-EAP. He is a well-known industry commentator, angel investor and regular contributor to a number of specialized publications. He holds a MSc in Management Sciences, a Master degree from Institut National des Telecommunications in Paris, a Master in Economics and Competition Law from King’s College as well as MBAs from both London Business School and Columbia University in New York.